AraxFoto offers a 30-day return policy (from shipping date) for defective items, or for items that do not match their description, provided that the product is returned in the original unused condition, packed in its original postal box with all packaging materials, manuals, and accessories (as originally included). 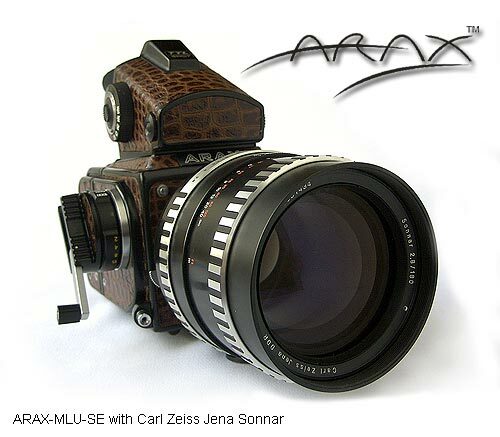 AraxFoto will arrange a full refund including postage paid (regular Airmail only) for the return. Money transfer fees are not refundable under any circumstances. If you are not happy with your purchase, simply email us to arrange a return/refund within 30 days from the shipping date. We reserve the right to charge a 10% restocking fee. The shipping fees are non-refundable. AraxFoto provides a one year (365 day) warranty [from shipping date] that all items shall be free from defects, and operate properly. During the warranty period, AraxFoto will repair or replace any defective item at the customer's request. Shipping charges are the sole responsibly of the purchaser. The unit will be restored to proper operating condition at no charge to you (includes all parts and labour). This warranty is contingent upon normal and proper use of the product and does not cover damage which occurs in shipment, or damage or failure resulting in whole or in part from alteration, unusual physical or electrical stress, misuse, attachment or installation or use of the equipment with any part, device, or product not approved by manufacturer, failure to follow the most current instructions published by manufacturer and shipped with the camera, with respect to proper use of the product, abuse, neglect, fire, accident, flood or act of God. This warranty does not cover a product on which the original identification marks or serial numbers have been removed or altered. International Returns Marked "Refused" or "Unclaimed": If you refuse to pay your local duty or tax, and the carrier bills us for the unpaid charges, we will subtract this amount and any return shipping fee from your return credit once the order is back. No refunds will be given for items that are seized at your local customs office or abandoned. There will likewise be no refund for damaged products on return orders that are marked "Refused" or "Unclaimed." We reserve the right to charge a 10% restocking fee for any international order that is returned to us because it was refused or unclaimed. The original shipping fee is non-refundable.